While helping Jeff Shyluk with a mysterious project, I decided to fool around a little. 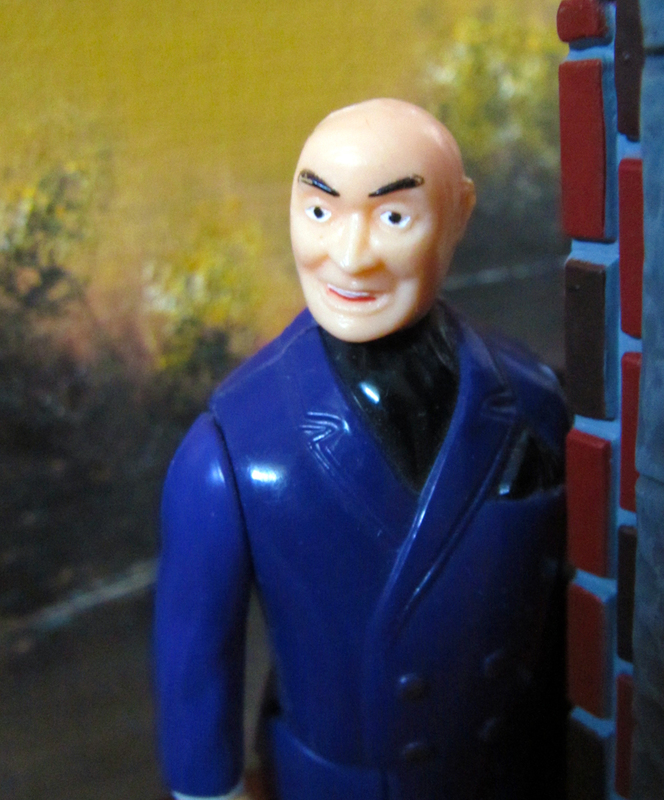 I present my latest masterpiece, "Lex Luthor in a Back Alley." Analyze at your peril, for there are layers of meaning here beyond mortal ken. He looks like that fellow from Annie. Daddy Warbucks? Sean, Daddy Warbucks has no pupils. Funny thing is that his name really is emblematic, because he made his money selling weapons if I remember correctly.